Last month, Andi introduced an alternative to a month-by-month wedding planning timeline: the Phase Approach. Here, she breaks down for you the first phase, Planning, and has created two sets of worksheets to help you envision exactly what you'd like for your Nuptial Mass and reception. They're beautifully designed, comprehensive resources we're thrilled to offer you! 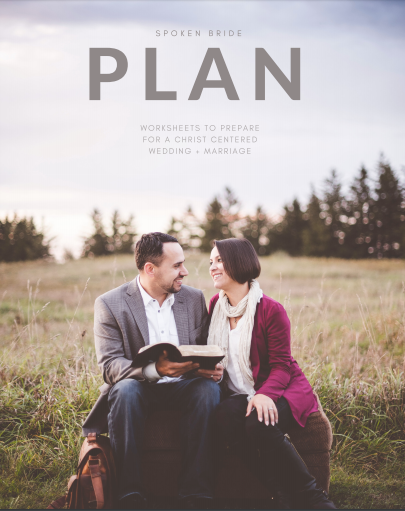 Once the excitement of early engagement starts to wane, and more and more people begin asking, “When is the wedding?” it’s time to seriously begin praying and discerning what your wedding day will be like, and how it will give glory to God. Every couple has different expectations about their wedding day. Some imagine an intimate gathering of their nearest and dearest at a swanky hotel or art gallery, dining on rich food and dancing until midnight. Others picture everyone they’ve ever known at a casual backyard reception in the afternoon, eating a simple buffet and delicious cake, with lawn games and minimal dancing while they sit and talk to guests. The Planning Phase is the time to sit and talk with all the parties who will be contributing to the wedding about their expectations. While, yes, the day is to celebrate the bride and groom, parents are often investing large sums of money into the day. Their opinions deserve to be respectfully heard. You would be surprised at how many parents, dads included, have a vision for their child’s wedding. During my own planning, I was surprised to find my husband’s family has a completely different approach to weddings than what my family was accustomed to, and my future in-laws had never been to a wedding like the one we were planning. It was also crazy to find out my dad had always thought I’d wear a ball gown (he knows me!) and that my mom always dreamed of elaborate white flowers for me. So before you meet with any vendors, and even before you start getting numbers together to set a budget, dream big! 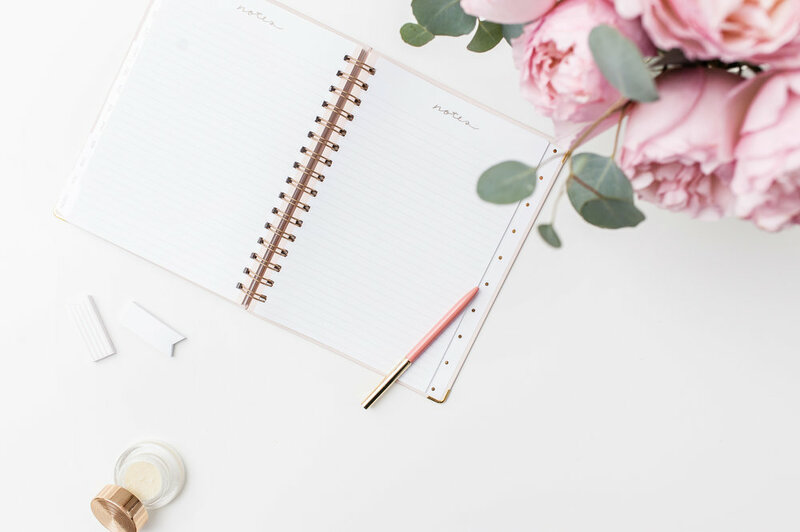 I’ve created a free downloadable workbook for you that’s full of questions and lots of space for you to write down answers, draw or paste pictures; whatever you need to really dig deep and get to the heart of wedding planning. The workbook below is designed to guide conversations with your fiancé and families. It has plenty of room for notes and cutting and pasting images from magazines or the internet. So please, feel free to get messy with it and get all your thoughts on paper. We’ve also created a checklist for this Planning Phase that begins upon engagement and generally ends about 6-9 months before the wedding, depending on your timeline. I've aimed to make it comprehensive, but feel free to cross off items that don't apply to you and to add your own to-dos to the list!